It has been a crazy winter for everyone in the Northeast–snow upon snow! I’ve had a bunch of life changes recently (all great ones)–so this has been my first post in awhile. 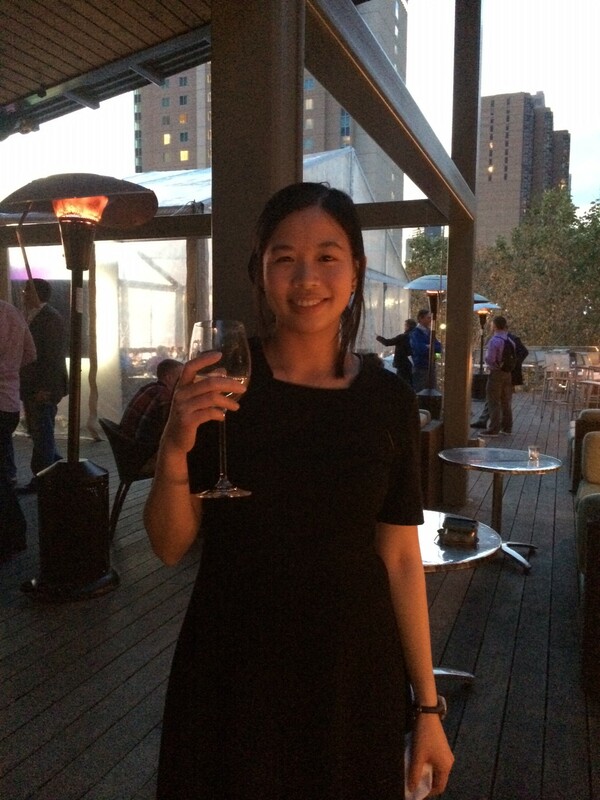 I moved from Brooklyn to Queens and I’m loving it, and I recently started a new job! Life is good. Another recent development is that I reached a big milestone–I completed 50 marathons since I started running races in November 2005! 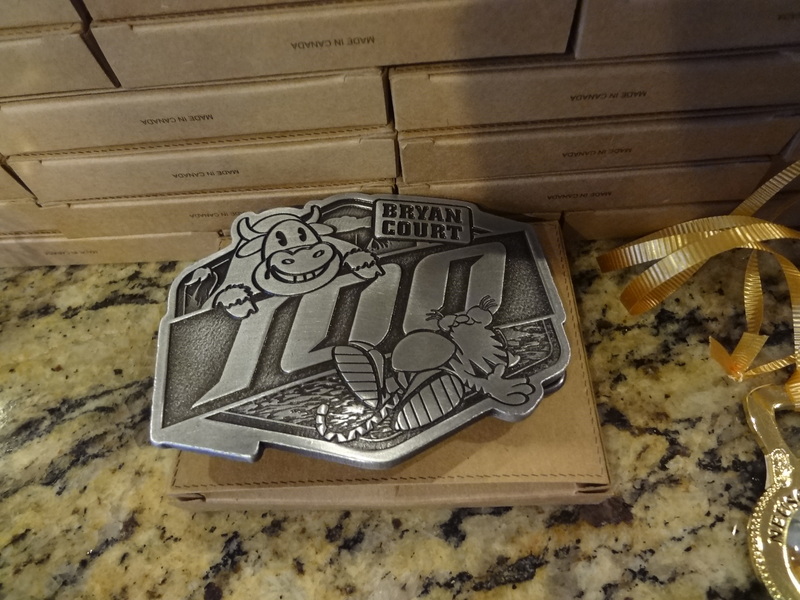 Rewind back to December 20, 2014–my friend and fellow Skechers ambassador Otto Lam put on a low-key, invite-only race called the Bryan Court 100. 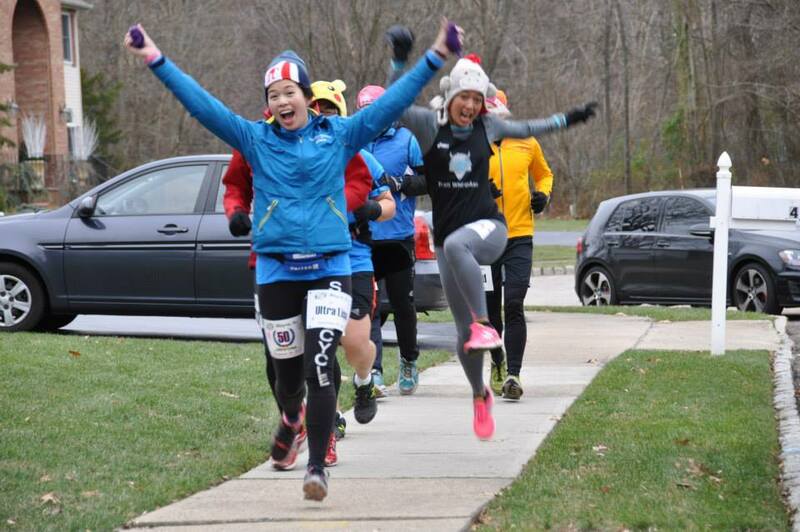 I was honored to be a part of this invitational ultramarathon–which was 37.2 miles (60K), or 100 loops of a cul-de-sac in New Jersey. Sounds crazy, right? Well it was, but it was also a lot of fun! Every lap was .33 miles, and there was an aid station for each lap so I took a lot of eating breaks and bathroom breaks. I knew most of the runners there so it felt like one big party. Thanks to all the volunteers counting laps, and Juergen, Otto and Louisa for hosting! I ended up placing second female overall, which was a nice surprise! I felt like I ran steadily the whole time–my official time was 8:08 and there were 33 participants total–I was in great company with incredible ultrarunners, so it felt challenging the whole time! The best part of the race was that at the end, finishers and participants received a beautiful buckle designed by Grammi Lee. It’s one award that I will treasure forever! 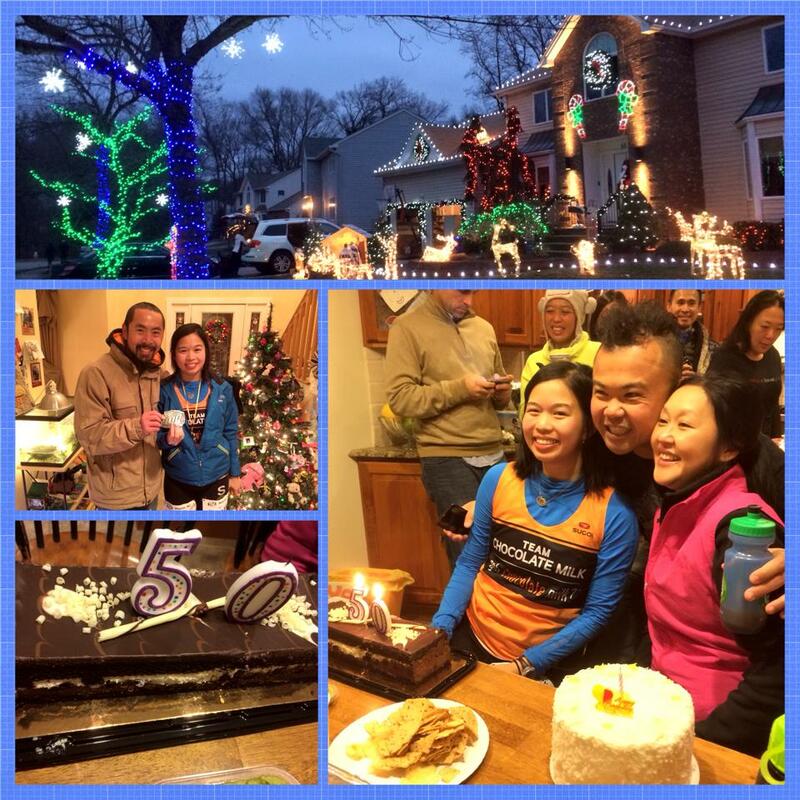 My wonderful friends also got me a beautiful chocolate ganache cake with “50” numerical candles on it–I loved it! Thanks Juergen and Otto!! I’m truly lucky to have been surrounded by so many friends. 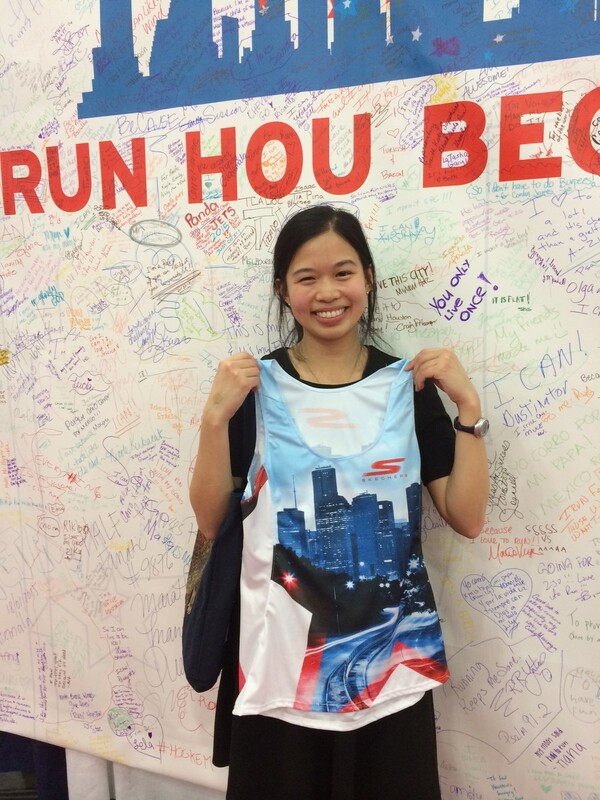 Fast forward to January 18 when I ran the Chevron Houston Marathon. Thanks to my awesome sponsor Skechers Performance for my race entry and for the opportunity! I had a wonderful AirBnB stay in Houston, and my host even drove me to the start of the race! I highly recommend AirBnB for seasoned travelers, especially if you are only in the area for 1-2 days for a race. I flew in on Saturday afternoon and caught the race expo before closing time. It was a nice expo with a huge Skechers booth selling merchandise, other booths selling race fuel and running gear, and more! I even bought a medal rack (finally) that has the quote “She believed she could, so she did.” I’m in love with it! It’s simple but it’s an inspiring mantra that I try to live by. I’m rocking the same singlet as the one the elite athletes (like Meb) wear! after the expo, I headed to the Grove for a pre-race cocktail party, courtesy of Skechers. There were passed hors d’ouvres and beverages, mini burgers, cheese plates, and more. I got to meet other Regional Skechers Brand Ambassadors (most from the Houston area), and some really awesome people from Skechers corporate. 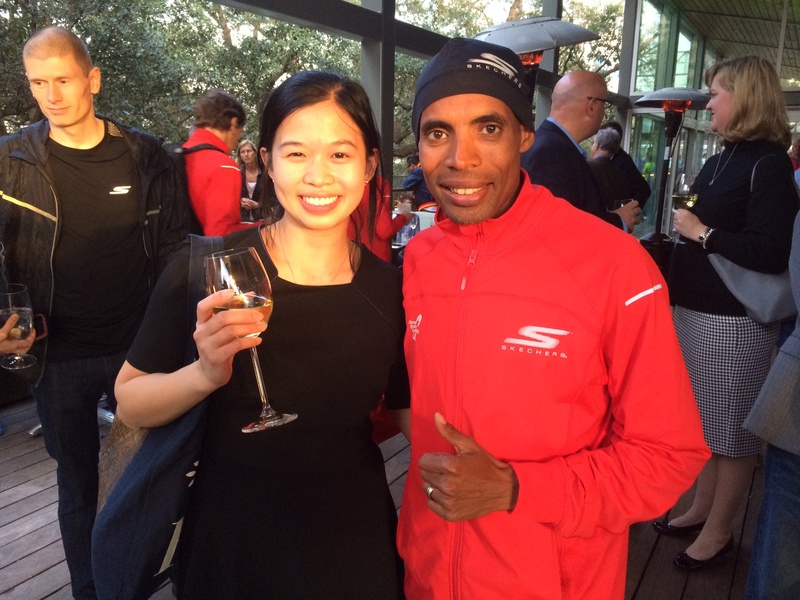 Most exciting though, was when Meb stopped by the party. He’s already met me a few times, but I always re-introduce myself anyway. He totally remembered me! We chatted a bit about the race, and he was friendly as always. So honored to be on Meb’s team! Afterward, I got Mexican food at Guadalajara del Centro–not my usual pre-race meal (I prefer Italian), but I don’t regret it at all! The Italian restaurant closest to the expo was all booked up, so I tried Mexican food in Houston for dinner–definitely a must-do! The complimentary chips and salsa were so amazing–the chips were paper-thin, fresh and super crunchy. I got a chicken fajita plate and it was stellar as well. Good night Houston! 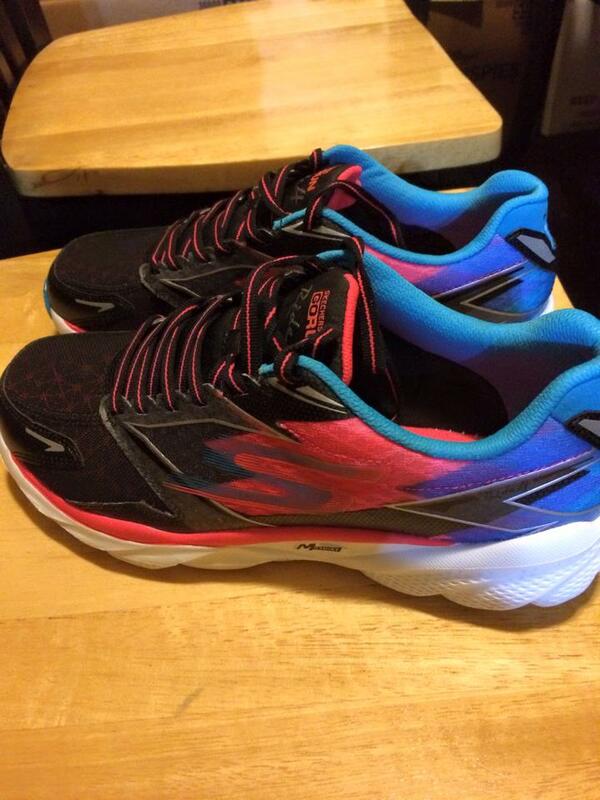 They are the Skechers GoRun Ride 4’s. I actually didn’t have much time to break them in, but I wasn’t worried because I’ve run in similar shoe models before. I felt a little nervous pre-race because I was down there by myself, but my AirBnB host said he would be out cheering with some friends! The George Brown Convention Center was race central–you drop off your gear inside and the race ends there as well. It’s massive! Logistically, having the expo, start and finish in the same area is a runner’s dream. I lined up at the start, and in minutes we were off! The race announcer even called out my name! The race is really flat, and it runs through pretty much all of Houston, including Rice University (my friend Rob’s alma mater)! The weather was awesome too, so I got super-lucky. 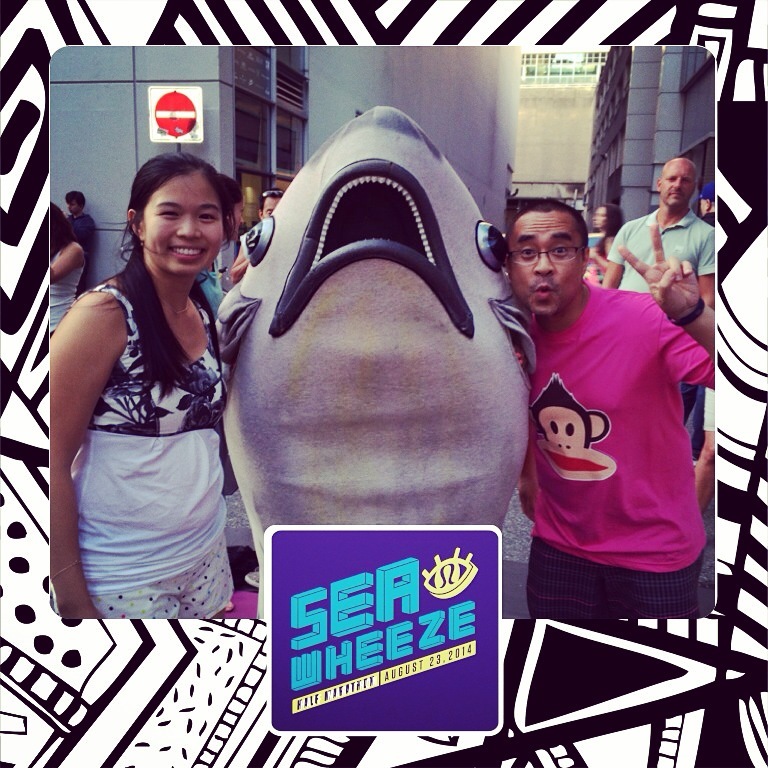 I met another Skechers ambassador (from Houston) who gave me a shout-out–he was so friendly but I couldn’t remember his name! That was a cool moment. There were a lot of cafes and shops that we ran by–I always make a mental note to check it out later. There were a lot of people running the Aramco Houston Half-marathon simultaneously, so the course was crowded but not overwhelming. The aid stations were really well-stocked, and the volunteers were amazing! I tried to thank as many of them as I could. I also ran into Ronald McDonald along the way and HAD to take a picture of him and his red shoe car. I also saw cows dressed in costumes that said “Eat more Chik’n” (from Chik-fil-A), so that made me laugh too. There was a ton of entertainment on the course, and I was really amazed at how well-organized everything was. I crossed the finish line feeling strong in 4:34:08. I was really happy with my result, since it was a brutal winter to train through! I also met some really great people in the post-race recovery area, which was stocked with tons of hot food, coffee, chocolate milk (I’m also sponsored by Team Chocolate Milk), ice cream, fruit and more! 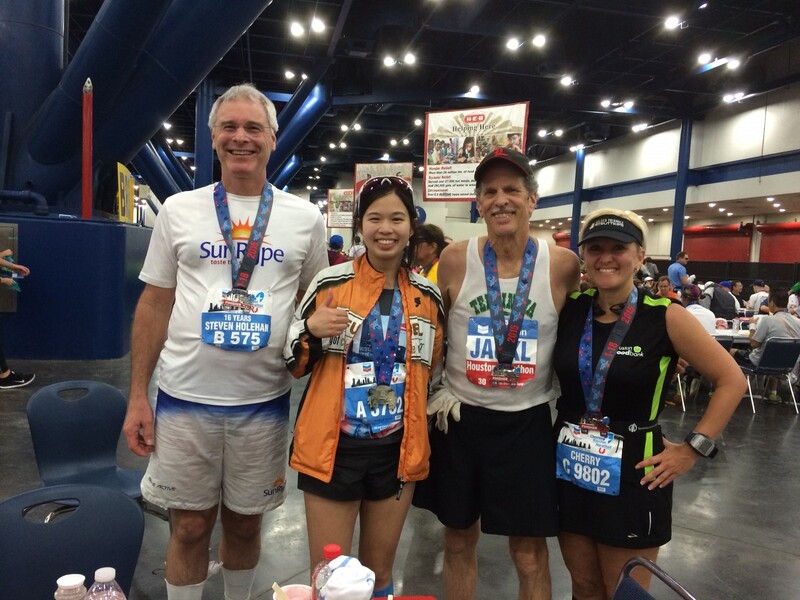 I met some “streakers” who ran the Houston Marathon for 16 years or more, as well as Cherry from Golden Triangle Strutters, who recognized me from Team Chocolate Milk. Seriously, the post-race area was one of the best I’ve ever seen! People asked me if I was ok, haha. 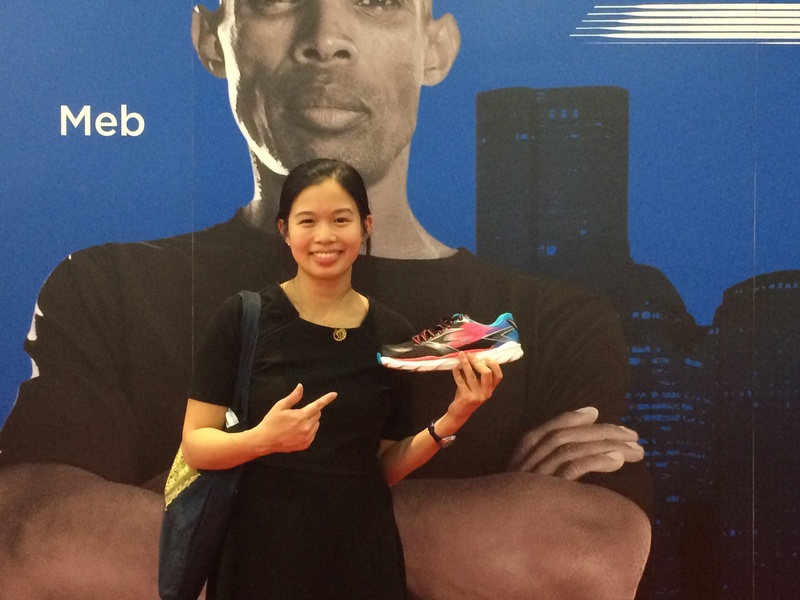 Thanks for a great race, Houston, and thanks to Skechers for the opportunity! 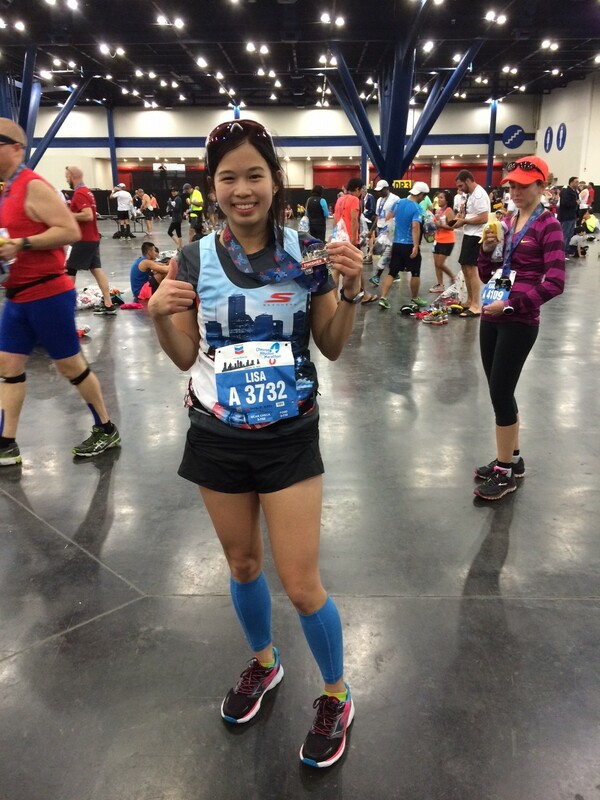 Readers–add the Chevron Houston Marathon to your list of must-do’s! 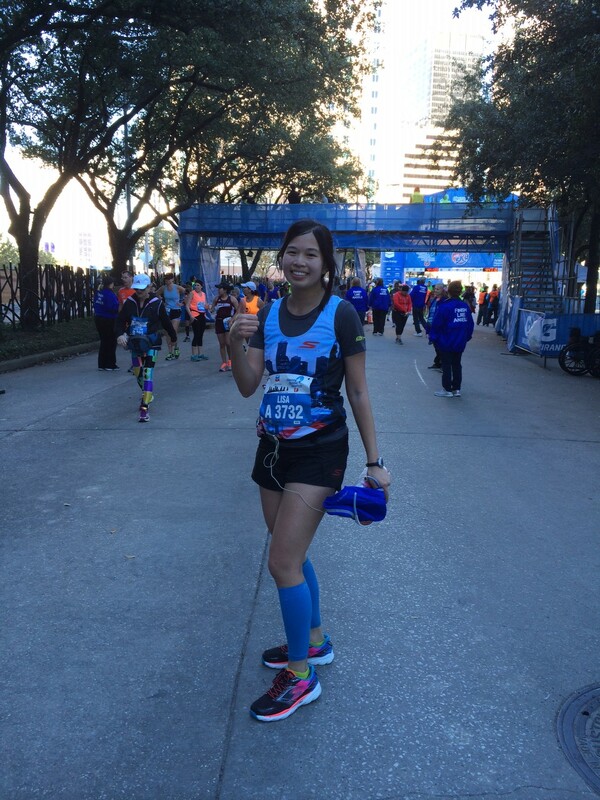 Categories: Uncategorized | Tags: AirBnB, Bryan Court 100, Chevron Houston Marathon, foodie runner, got chocolate milk, Mexican food, New Jersey, Skechers, Skechers Performance, Team Chocolate Milk, Texas marathon, ultramarathon | Permalink. Hello dear readers–I am back! This year, 2014, has been one of the busiest for me in ages. I have been fortunate enough to attend (and be in) several weddings this season, alternating with race weekends! That is why I have not posted in a while, but fear not, I am getting back on the wagon! 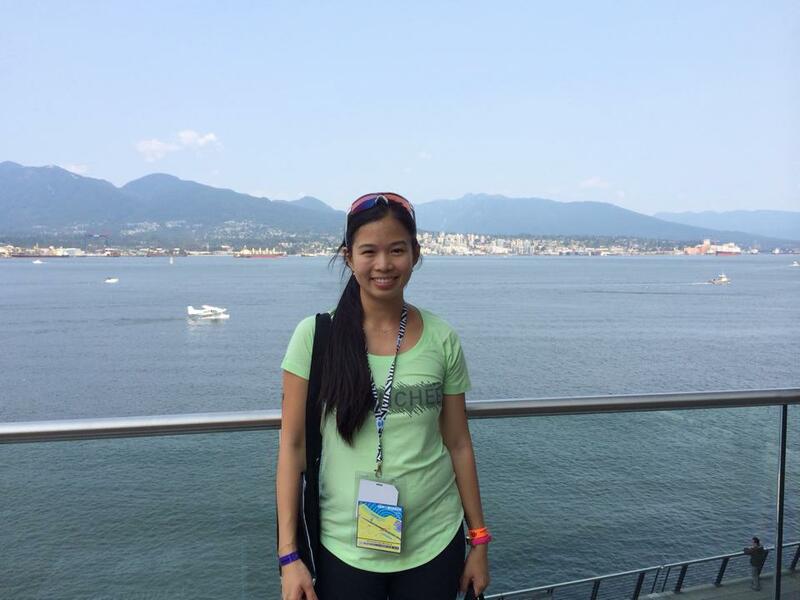 1) The city of Vancouver has it all: views of the mountains, the sea, the cityscape. 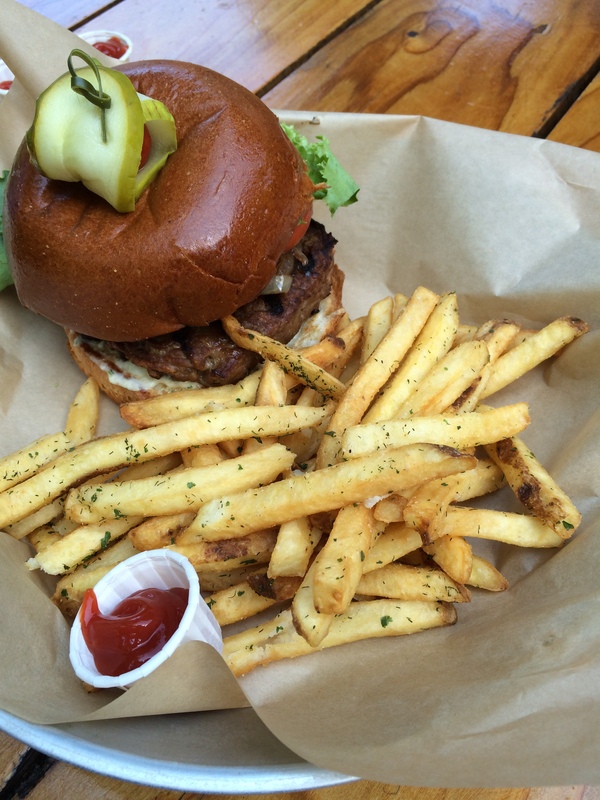 Plus, there’s excellent food! 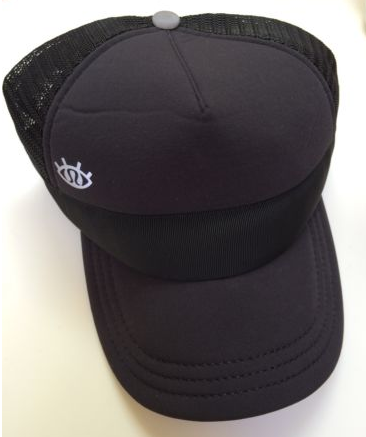 2) Lululemon is based in Vancouver, and the company makes a SeaWheeze-exclusive collection of workout wear and accessories, sold ONLY at the race expo on race weekend. 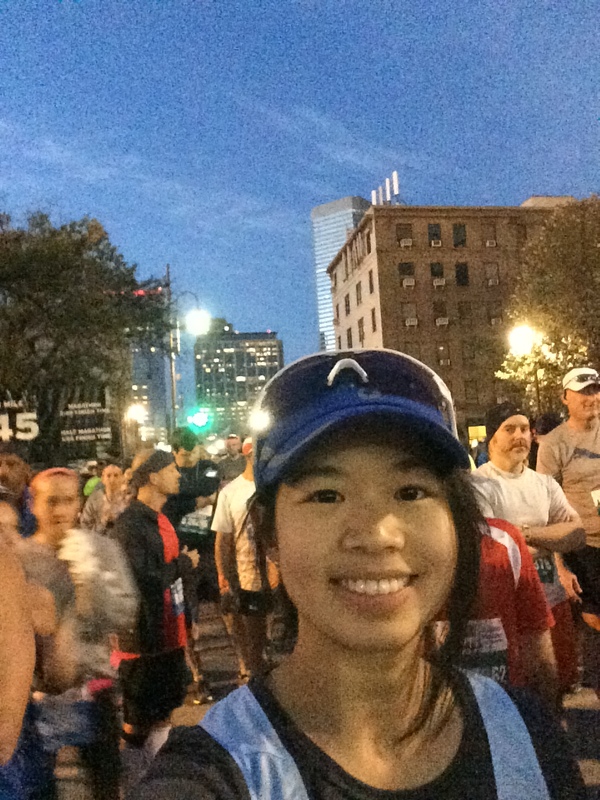 4) I like meeting other Lululemon enthusiasts, and it’s fun being around other people as excited about the clothes and race as I am! I arrived in Vancouver on 8/21, and I was just walking around on Robson Street when I stumbled upon the grand opening party/yoga-fest for the new Lululemon flagship store on Robson! I got to say hello to my friend Dave Mari, and I participated in the yoga class with other Lululemon enthusiasts–the energy was incredible. What a great way to start my trip! 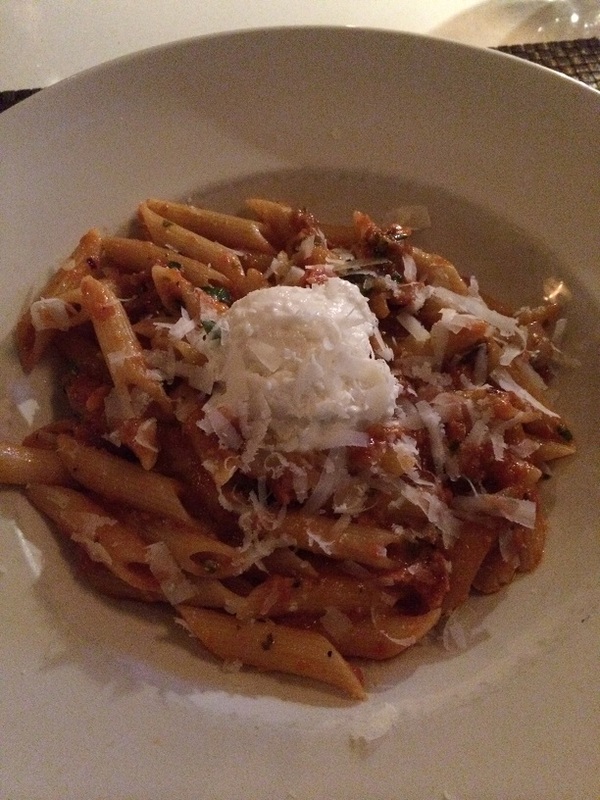 I capped it off with a a delicious pasta dinner at Italian Kitchen. Their homemade pasta puttanesca with fresh ricotta is unbelievable. 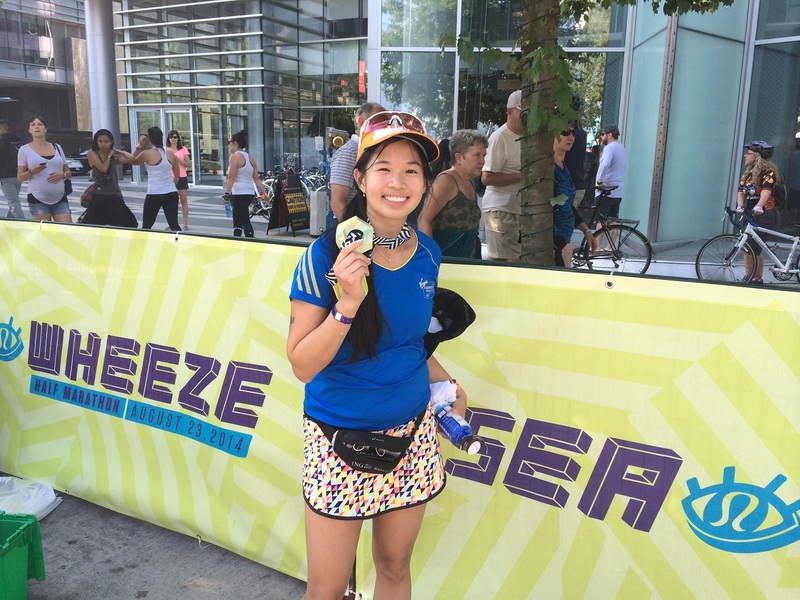 One of the big draws of doing this race is the schwag, and also the opportunity to purchase exclusive Lululemon product from the SeaWheeze Showcase store. The exclusive designs are not available online and are available only on-site at the SeaWheeze Showcase store during race weekend in Vancouver. Many people line up super early before the store opens at 7am on Friday. I mustered up the energy to wake up at 6:30am and walked from the hostel where I stayed to the convention center. I got to the store at 6:50am and there were already at least 300 people on line in front of me. It was madness! However, the people I was on the line with were pretty chill, and we were all just excited to be there. After about an hour of waiting (there were capacity limits so they let us in slowly), we finally made it into the store. I headed straight towards my size, and luckily there was still a good selection because I got there early. I was so tempted by everything I saw–this year’s theme was “illusions,” and there were pastels, rainbows, stripes, and chevron patterns–everything was super cute! I told myself I would limit my purchases to no more than 5 items, lest I suffer from buyer’s remorse! I also kept an eye out for my friends, who I was shopping for as well. 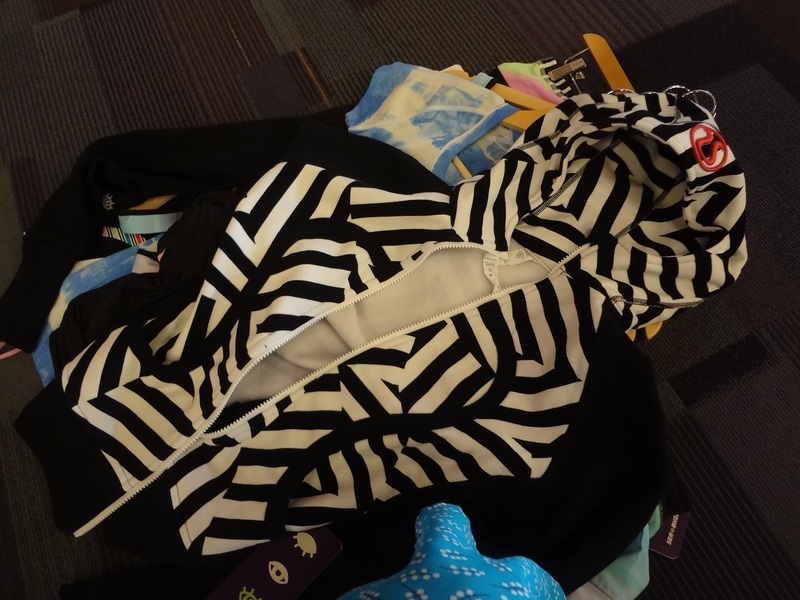 I ended up getting the awesome black-and-white stripe patterned hoodie above, a pink tank with striped shelf bra for a friend, some socks. a pair of tights with a striped pastel waistband, and a black tank with rainbow bra. They gave us a cute holographic shopping bag as well! Even though I was among the first 400 people to enter the store, the merchandise moved so fast (people bought up to 15 items at a time!) that I didn’t even see certain items (a duffel bag and rainbow futuristic shorts were the hot tickets), but that’s probably for the better, as I wanted to stick to a budget! I was thrilled to be able to bring back some cute souvenirs that I will definitely be sporting soon! Afterwards, I took a quick lunch break at Japadog, where I got an amazing terimayo hot dog. Then, I got ready for my 5-hour volunteer shift at the expo. Since I was traveling alone, I didn’t mind volunteering as a way to give back to the community. 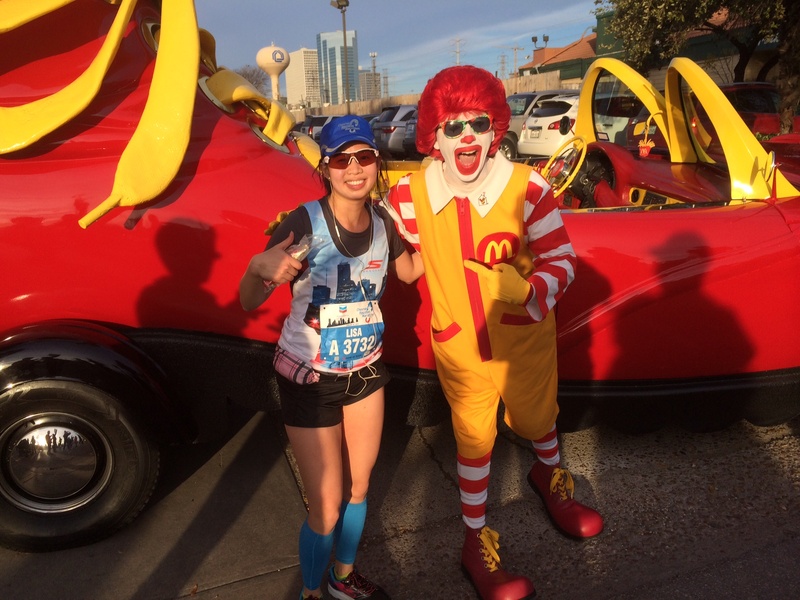 Races depend on volunteers for a successful event, and I wanted to put my time to good use. It also didn’t hurt that we got cute t-shirts as well that said “voluncheer” on them! 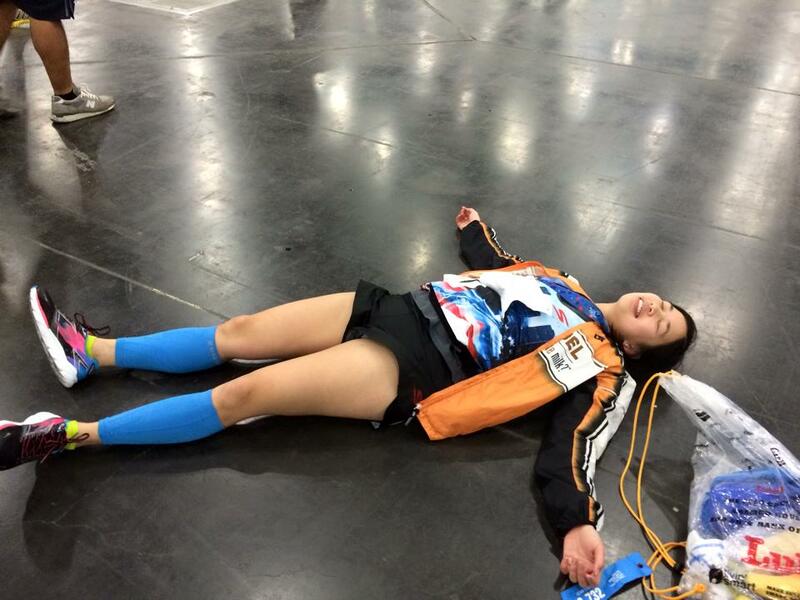 I helped manage the packet pickup line and was also a “bib finder” to hand out the appropriate packets to the runner. It was a bit tiring being on my feet, but I enjoyed it. 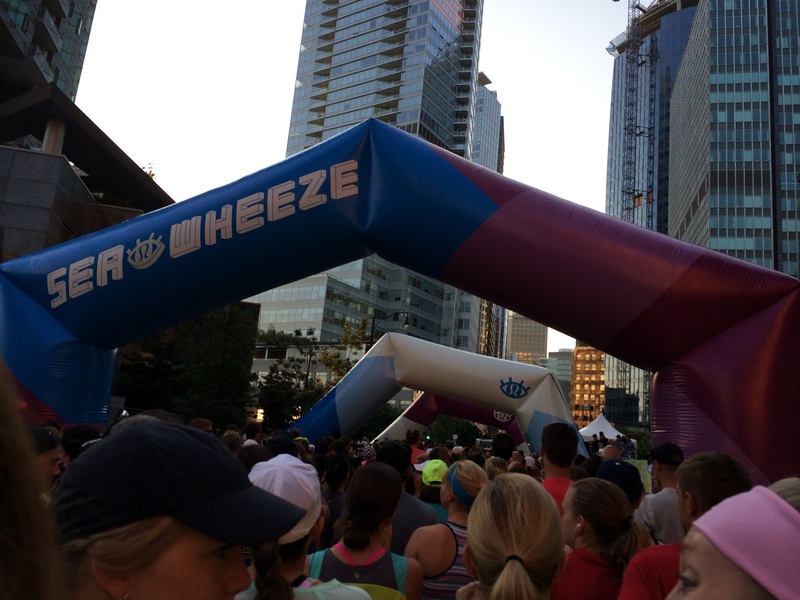 Finally, the SeaWheeze Half was here! I was so excited that I had no trouble waking up at the crack of dawn, so I could be ready to go by 6am for the race start at 7am. Bag drop was smooth and the energy in the air was palpable. Many runners were donning the race-supplied shorts or their Lululemon best. 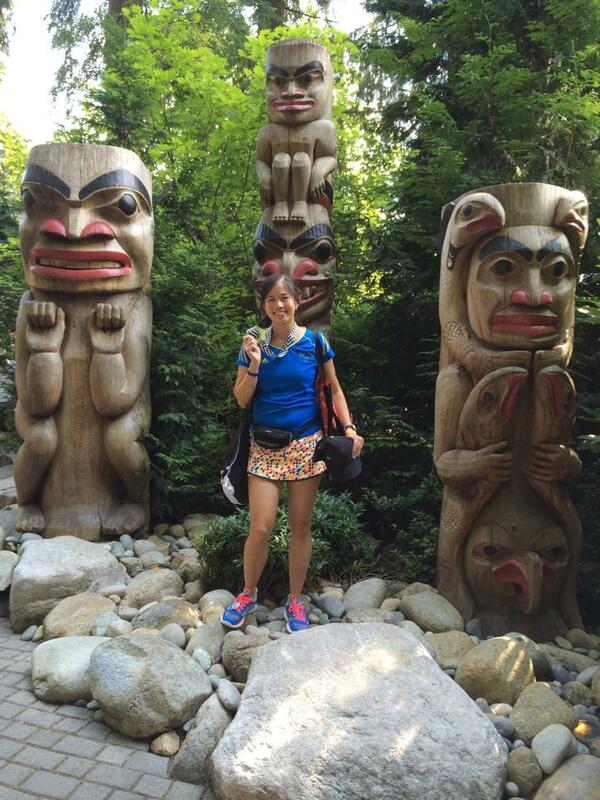 I wore my Virgin London Marathon shirt and one of my favorite Lulu colorful skorts. I just wanted to have fun and enjoy the experience. I didn’t plan on going out fast because I was still recovering from muscle fatigue from my back-to-back ultramarathons in the summer. Plus, I was still feeling a bit jet-lagged. The weather was a perfect and I planned to take photos along the way! Just as I remembered, the course was a bit tough. We went over bridges, traversed many neighborhoods like Chinatown, Kitsilano, the Sea wall and Stanley Park. The inclines were the toughest, but there were cheer squads and water stations to keep our spirits up. Lululemon sure knows how to put on a party! The views from the Sea Wall were stunning. They even had a “Muscle Beach” cheer zone complete with inflatable dumbbells haha. Very clever! My leg muscles were feeling fatigued from being on my feet all day yesterday. Oh well, it was worth it! I ended up crossing the finish line in a time of 2:14:24. It was not my best, but it was certainly good practice for me to pace towards a 2:15 (my pace assignment for the upcoming Grete’s Great Gallop!) I also took lots of photos and soaked in the scenery. I ran in my Skechers Sonic shoes and they felt great–they absorbed most of the shock of the pavement because it’s a slightly more cushioned shoe. Thanks Skechers for being my sponsor! 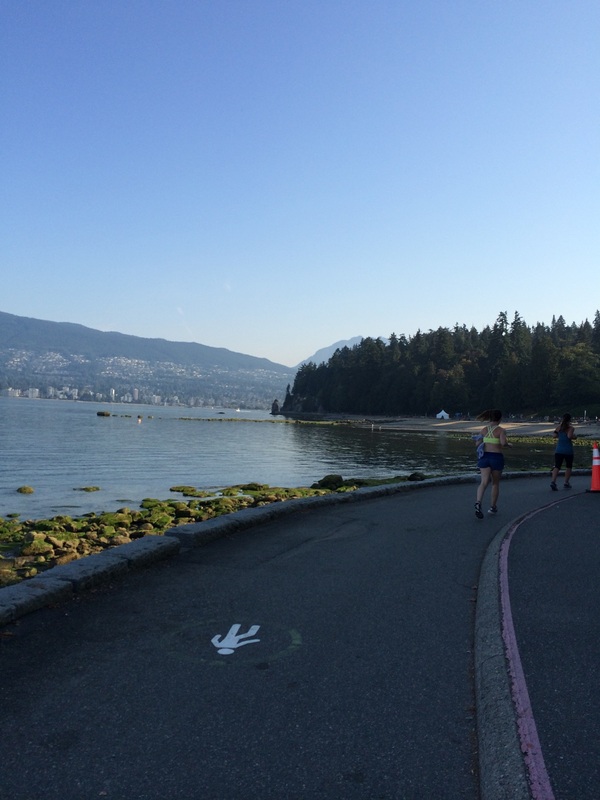 The finish line was great–we had bottles of Zico coconut water awaiting us, and also goodies! Saje Wellness was a sponsor, and every runner got a set of runner’s massage oils (they were also available for sale in their store). We were also rewarded with a finisher medal (shaped like a mobius loop and choice of green, blue and purple) AND a sweet Lululemon finisher hat! The schwag we get for this race is neat–this was all in addition to the runner’s Lulu shorts mailed to you, a white messenger bag, and a water bottle. I was one happy gal. 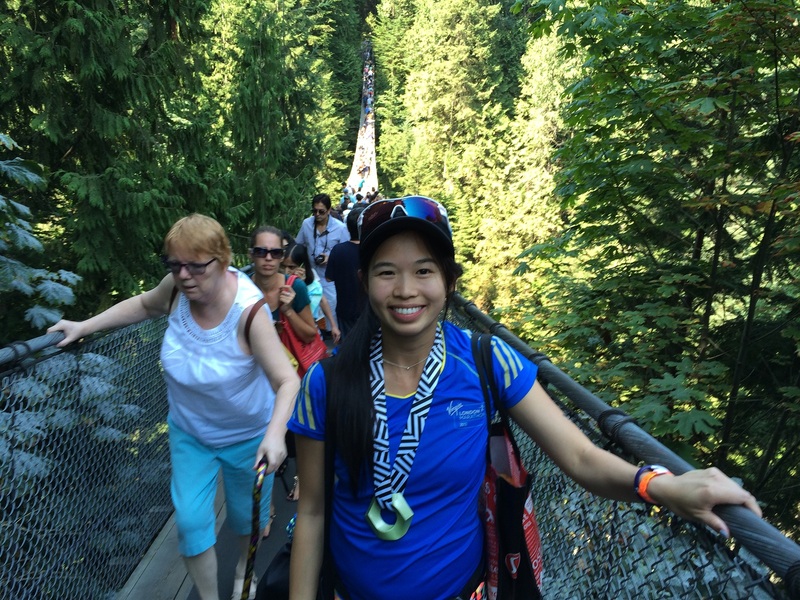 Finally, I capped off my race day with two unforgettable experiences: going to Capilano Suspension Bridge park and the SeaWheeze Sunset Festival. 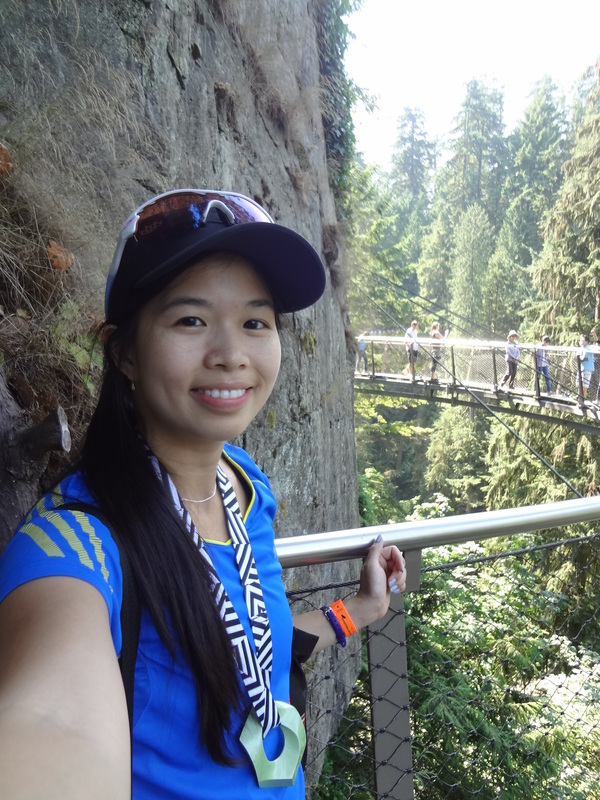 I had a massive burger at Logger’s Grill post-race (in the park), and I clambered upon the famously wobbly Capilano Suspension Bridge on my wobbly legs. I also went on the amazing Cliffwalk–a new addition to the park that lets you walk along a cliff face. 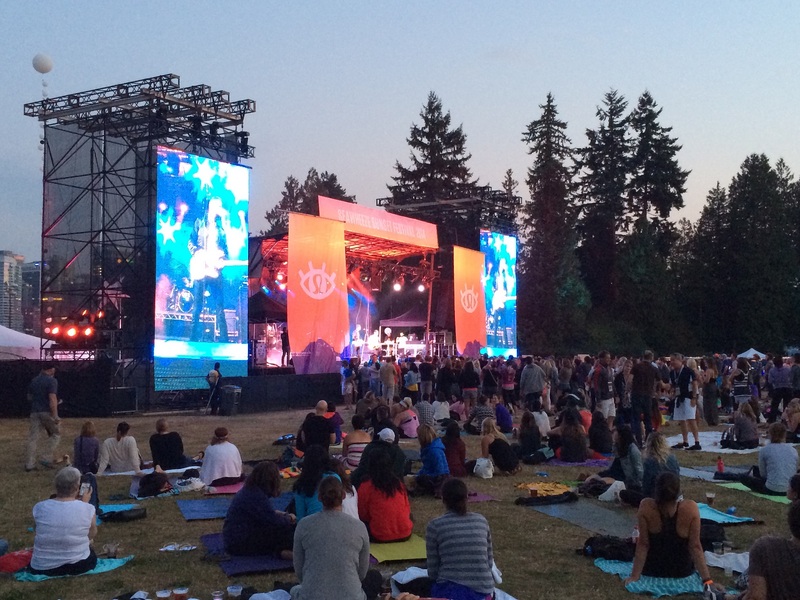 The Sunset Festival featured a performance by Capital Cities, yoga, local food vendors and a beer garden in Stanley Park. I lay on my yoga mat, enjoying the music and a burrito after a day of racing and walking. 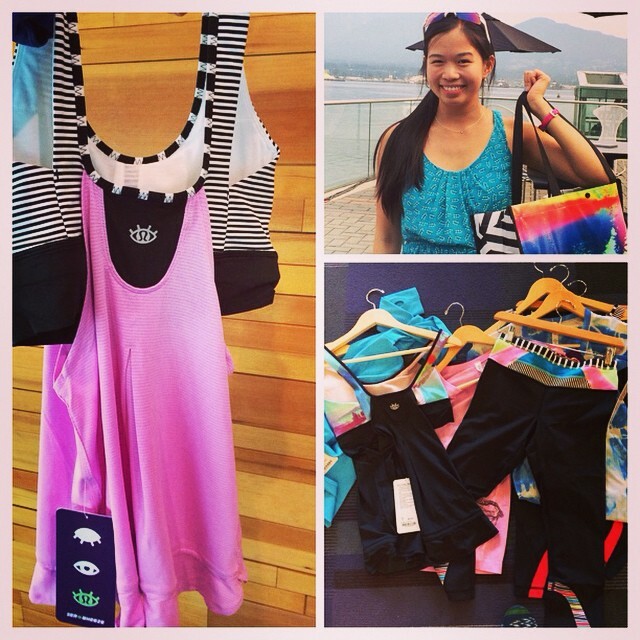 Thanks for an awesome time, Vancouver and Lululemon! I will be back! 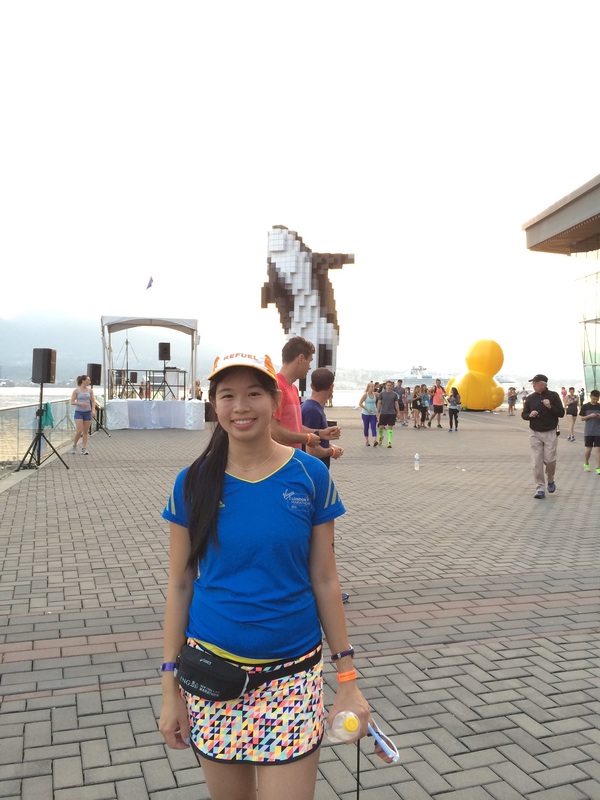 Categories: Uncategorized | Tags: Canada, Capilano Suspension Bridge Park, got chocolate milk, half marathon, Lululemon, lululemon addict, Lululemon SeaWheeze, race volunteer, Seawheeze half, Skechers Performance, Team Chocolate Milk, travel, Vancouver, yoga | Permalink.